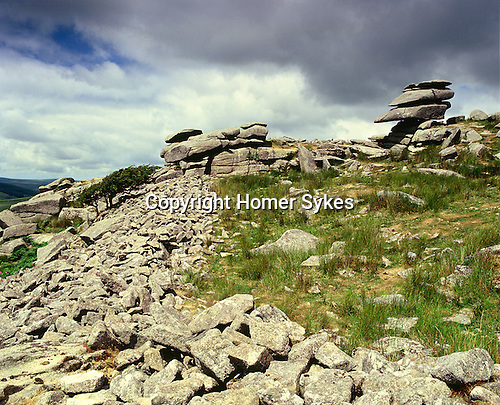 Stowes Pound, Cheesewring and the Devils Chair, Bodmin Moor, Minions, Cornwall, England. Celtic Britain published by Orion. Two Bronze Age enclosures collectively known at Stowes Pound. The larges contains at least thirty nine hut circles. What distringusihes Stowes Pound from other early Celtic sites is that within its boundary it contains extraordinary weather worn natural granite tors, the most famous being the Devils Chair and the Cheesewring.